Margee Herring is a 30 year veteran of public relations, providing communications counsel to corporate real estate, tourism, education, environmental and non-profit sectors. Certified through the Public Relations Society of America, she is highly skilled in media relations, spokesperson training, corporate positioning/messaging, and community engagement. 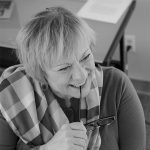 Margee works hard to cultivate relationships that benefit her clients working to foster common ground between companies and stakeholders, employers and the communities they serve, media and sources, issues and influencers. She develops strategies that improve positive regard for clients such that their reputation contributes to their bottom line and audiences or customers develop a commitment to the brand. After graduating from the University of Maryland with a BA in Speech Communications, Margee worked with nationally ranked PR firms in Washington, DC (Earle Palmer Brown and Ketchum PR), then as marketing manager for Bald Head Island, and later as president of her own public relations and marketing agency in Wilmington, NC. ADPR. Margee Is also a stalwart community advocate, having served on multiple boards of directors addressing urgent social issues. She continues as a founding board member for the Girls Leadership Academy of Wilmington and is a member of the Wilmington Tree Commission.